Sometimes Tres and I make Sunday a lazy day. It's rare for us to just hang out on the couch and do nothing, but if there's rain or nothing going on, we will take it easy. Last Sunday we were enjoying a day on the couch, catching up on House of Cards of course, and I decided we needed a fun, cozy drink. Just by using what we had in the house, I came up with this lovely coffee! 1. 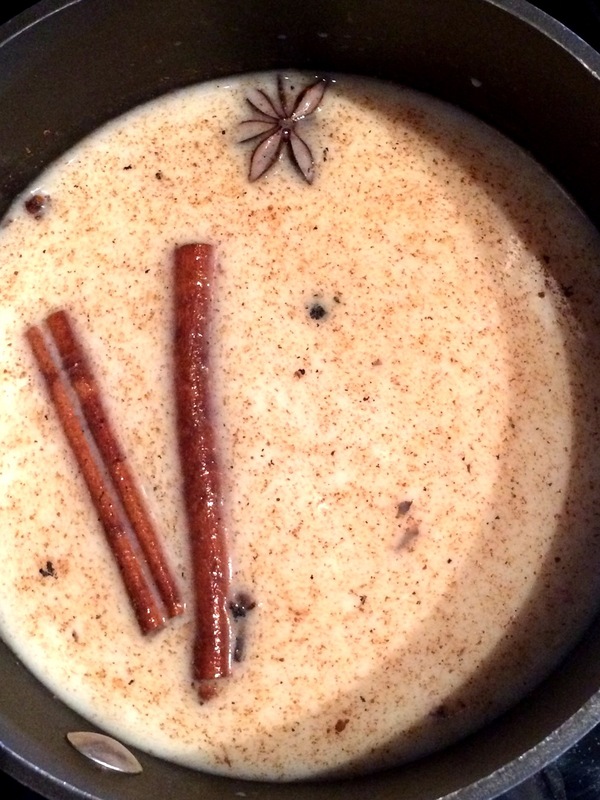 Over low heat in a small saucepan combine milk, brown sugar, vanilla seeds and pods, cloves, star anise, cinnamon sticks, ginger, cinnamon, and all spice. Heat for 10-15 minutes and strain. 2. Brew coffee or espresso and combine with the warm milk. 3. Whip cream and powdered sugar together with a wisk by hand or using a hand mixer. 4. Pour coffee mixture into two glasses and top with the cream and a sprinkle of cinnamon.